How To Make Any Room Look Fabulous With Designer Bean Bags! 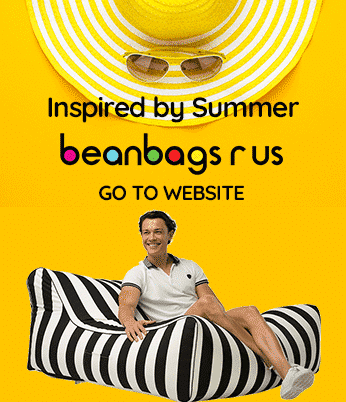 Bean Bags R Us NewsBean BagsMake Any Room Look Fabulous With Designer Bean Bags! Make Any Room Look Fabulous With Designer Bean Bags! You don’t need to spend a lot to make a room look stylish and fabulous. All it takes is a little creativity and a few designer pieces, and any space will look trendy in no time! Choosing the pieces does take a little planning, which is why it is essential to pay attention to a few key things like the space of the room, and what the colour scheme is. A quick and easy way to create a fabulous new room is to pick a theme and find pieces that fit within it. For example, a minimalistic modern theme might feature black and white furniture and accessories. Once you pick the theme, look for a few original pieces, such as a few new pieces of indoor furniture, to be focal points. Having several key focal points will make your room look bigger and carry the theme across the room. The furniture can be anything from a simple chair to trendy designer bean bags in fun colours. Lamps or other larger accessories can also be used to fill the space. One thing to keep in mind is the scale of the furniture – try to find options that are not too large for the space. It is also important to avoid choosing pieces that are too small as they will lose their impact. A new layout is one of the fastest ways to change the feel of any room and give it a brand new look. A new design involves moving the indoor furniture around to create a new flow for the room. When changing the furniture layout, always pay attention to the traffic flow of the space. In some spaces, it is important to leave extra space for pets, kids, or family members to walk or play in. After you determine how much room you require for foot traffic, it’s time to start moving the furniture around! If there is enough space in the room, try playing around with different layouts to find the perfect one! The plan will also heavily depend on how the design of the room, as some places may only work in certain combinations due to the window and door placement. If this is the case, then it may be easier to change the furniture. Changing the furniture can freshen up a room without having to move things around. Replacing the furnishings is a good option for areas that have restrictive layouts due to the window and door placement. If this is the case, then it may be a good idea to consider more flexible seating, such as a bean bag chair. These are perfect because bean bag chairs come in many different sizes, as well as a variety of exciting and fashionable colours. One creative option for using bean bags is to place a few near the television and create a mini-theatre for friends and family to sit on while they watch movies. Add small tables so that anyone sitting on the chairs has a table that they can reach without having to get up. Adding low tables is a perfect addition for those who plan to host movie nights and serve snacks. Another option is to add a single bean chair as a comfortable reading spot for anyone who needs a soft place to relax in while they read a book or unwind from the day. A potted plant can also be placed near the reading spot to help create a more tranquil environment. If a floor based plant is not practical, a small tabletop planter can also be used. The beauty of using designer bean bags to create a trendy new look is that they can be moved around at any point, unlike large sofas or bulky recliners. Bean bags are more versatile than traditional furnishings because they allow for more flexibility. One way to take advantage of this is to throw a few of them together to create quick seating, and then stack them in a corner when finished for easy storage that still looks stylish. After all of the furniture has been moved to its new location, the final step in redecorating is to add a few small accessories to complete the brand new look! The accessories can be almost anything, so long as they add to the overall theme of the room. Picture frames, trinkets, and even small craft projects are all excellent options because they are inexpensive and easy to find. Coordinating these new accessories with the designer bean bags and other furniture will create a trendy new look that will make any room look fabulous!